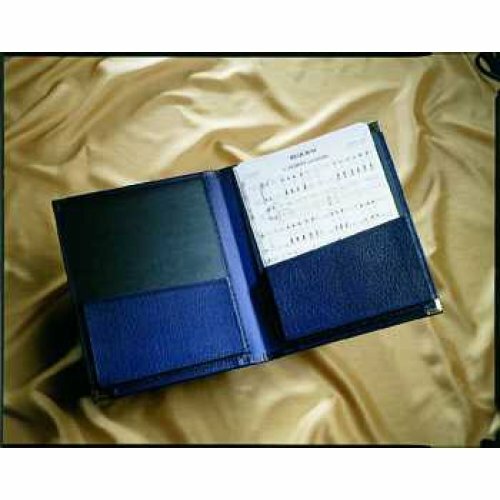 A choral folder with two expanding bottom pockets. Custom gold-blocking available to order. If you have any questions regarding the gold-blocking, please call the sales team on 0800 072 7799 for assistance. Important: Please select whether you require your wording “ALL CAPITALS” or in “Upper and Lower Case”. *Please supply artwork in high-res pdf or jpeg, as clear as possible, in black and white (no shades of grey). If we have any concerns about the format or resolution of your artwork, a member of the Black Cat team will give you a call. Note: the die becomes yours, but we store it for you for future use. Your Subtotal for Goldblocking automatically updates according to the number of folders you have selected on the product page. Elegant, high-quality folders with brass-bound corners to give a sense of identity to your group of musicians or singers. Custom gold-blocking available to order. Available in red, blue or (Concert Black - Currently unavailable). Please note that our red and blue folders are now a slightly darker shade than they used to be. Please contact the sales team on 0800 072 7799 to see a sample..